A GRIP ON SPORTS • Hopefully, your Sunday brunch plate isn't too full. We have a couple things to add. Read on. • James Paxton is the ace of the Mariners' staff. There is no more debate. He is the best the M's can put on the mound every fifth day. He showed his credentials again last night with a workmanlike complete game win over the Tigers. Best stuff? Nope. But that didn't matter. Detroit wasn't going to square up too many balls. And the M's offense, knowing Paxton had their back, put seven runs on the board to make it easier. That's a winning formula. • If you were really looking forward to watching the Preakness yesterday, I'm sorry. The fog and rain in Baltimore basically made that impossible. I've been told Justify won the second leg of the Triple Crown, but, even with pictures, I'm not sure that's true. It was that hard to see. So, after years and years of not having a Triple Crown winner, we may get our second in four years. And both with the same trainer. The vagaries of sports are amazing. • Speaking of the vagaries of sports, the Pac-12 is everyone's whipping boy these days. The football on the West Coast has been struggling for more than a decade. We know that. The basketball isn't doing much better, though the school in Spokane has being doing all right lately, which makes the Pac-12's struggles all that harder to understand. The other sports? So what if the Pac-12 dominates the Olympic sports? That doesn't register. What does register is the money race, and in that the conference is falling behind. Whether it will be fixed in the near future – Asian markets chipping in, gambling, whatever – may determine if the conference schools can stay competitive. Though Washington winning the CFB playoff next year would also help. WSU: Despite a ninth-inning rally, the Cougars' baseball team fell to Stanford again yesterday. Gonzaga: The baseball team defeated Santa Clara again and remains alive in the WCC regular season race. Whitworth: UPS has a new basketball coach. NIC: The Cardinals won twice at the NWAC softball championships. Preps: Only one more week of prep sports in the area, though Idaho's playoffs are already done. … In Washington action, Richland defeated Central Valley 8-1 to win the District 8 softball title. Dave Nichols was there and has this story. … Greg Lee has the coverage of the 4A and 3A track and field. … We can also offer roundups from baseball, tennis, soccer and softball. 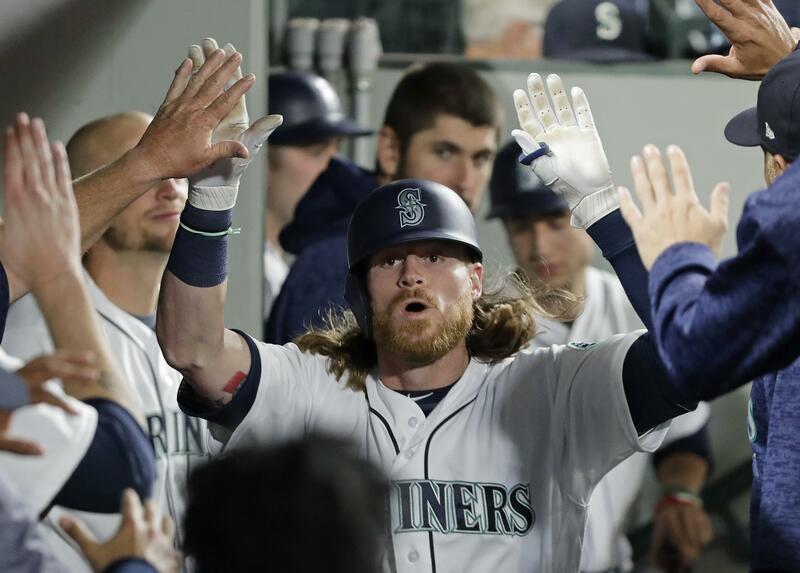 Mariners: Paxton's outing was the main story, but Ben Gamel continued his hot hitting as well. … Robinson Cano's suspension is of interest outside of Seattle as well. … In our weekly Out of Right Field column, Dave Nichols takes a look at the M's prospects, including their shining star, Kyle Lewis. Published: May 20, 2018, 7:47 a.m.